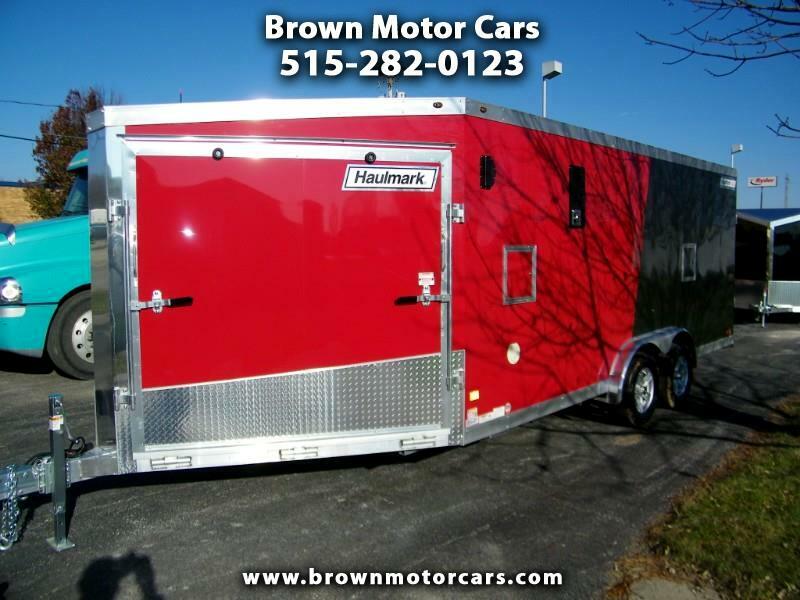 Thanks for looking at our 2019 Haulmark HAS 7.5x18+6 Aluminum snowmobile trailer! This one is loaded with options including finished interior w/white walls and ceiling, insulated walls and ceiling, 34k BTU ducted furnace, 40lb propane tank, 4-18" recessed LED interior dome lights,front and rear ramp doors, RV style side door, 6'6" interior height, 48" overhead cabinet, 2-fuel doors, in floor battery box, LED exterior lighting, 25ft shorepower cord, fire extinguisher, 24" atp stoneguard, and did we mention that it's all aluminum? Snow is starting to fly so don't wait until it's too late to own this awesome sled trailer!